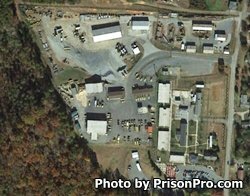 Rutherford Correctional Center is located in Spindale North Carolina. It is a minimum security prison that houses 236 adult male inmates. Offenders are housed in a dormitory setting. Select offenders housed at Rutherford Correctional Center can work in the community, work on road crews, and participate in the work release program. The work release program allows inmates to work a job in the surrounding community during the day and report back to the prison at the end of their shift. Rutherford Correctional Center offers substance and alcohol abuse treatment through Alcoholics/Narcotics Anonymous, and the DART program.